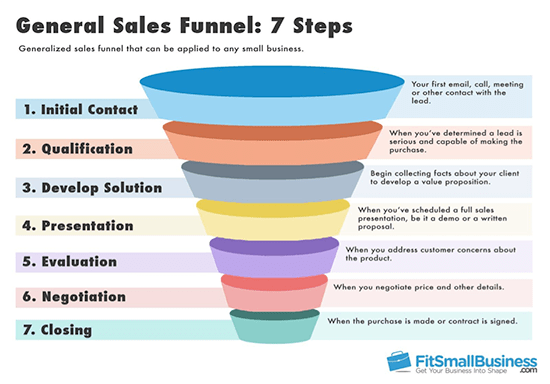 Sales funnels are as varied as the products and services they’re designed to sell. But all of them share the same general design: a large number of prospects go into the wide mouth at the top and slowly trickle down through the levels, until a smaller-but-hopefully-still-large-enough number of buyers exit through the narrow bottom. That’s it. Sounds simple and almost too easy, right? Well, it is and it isn’t. The concept is simple, but the creation and execution can be very difficult. There’s no one version, template, or design that works for everyone. Heck, there isn’t even one set of labels for each stage in the funnel. Some funnels have 4 levels, others have 5, and still others have 6 or more. Coming up with an effective funnel is part of running a modern business. But where to start? First, you need a concrete understanding of your target and your goals. Next, you need to create a foundational funnel. Something you can test, tweak, and polish to make it sparkle (i.e. convert). And to do that, it’s better to start with the bare minimum and add as necessary rather than build something huge and time-consuming that you might end up dismantling later. To that end, I present to you the Minimum Viable Funnel (MVF). As I said above, sales funnels can be very different from one another, but you really don’t know what yours is going to look like until you build one and take it for a spin. In doing that, you don’t want to waste time, energy, and money on something that ultimately may not have any traction. Hence the absolute minimum viable funnel. As a point of comparison, let’s consider the minimum viable product, or MVP, which is a cornerstone of lean startups and (smart) new product launches. 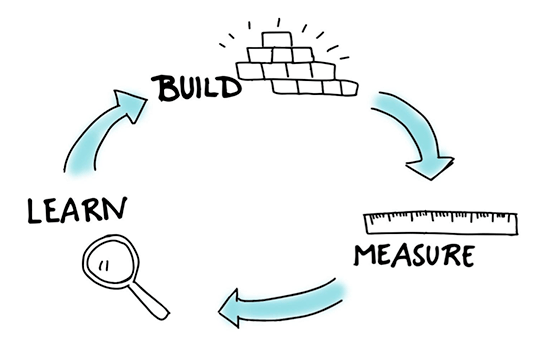 In essence, it’s the smallest, simplest version of a product you can build to quickly get it out there and navigate the build-measure-learn loop. The minimum viable funnel is the same thing. Just replace “product” with “funnel” and the definition still rings true. You need a funnel to test your funnel. You need something to use while you collect data and learn about your prospects, customers, and how to best nudge them through and convert them. The MVF is your prototype. Here’s a straightforward template to quickly build and launch your MVF. We’re going to use a bare-minimum 4-level funnel: awareness, interest, decision, action. Before you do anything else, you need to identify your ideal customers and create a buyer persona for each major category or type. How many? That’s up to you, but roughly 90% of your sales are represented by 3-4 personas, according to Mark Schaefer. OptinMonster defines a buyer persona as a “fictional person [but one based on concrete data] who represents a particular company’s ideal customer.” Think of it like a character sketch a novelist or playwright might use while drafting their work. You want to create a detailed persona for each one that matters to you and your products. Who are they (gender, age, education, profession, income, and other demographics)? What are their interests, likes, dislikes, concerns, and fears? What motivates them? What goals do they have? What might prevent them from buying? Interview or survey your existing customers if you have any. A quick survey using SurveyMonkey, PollDaddy, or some similar tool gets you real, voice-of-the-customer answers. Audience insights on Facebook, Twitter, or other social media platform. If you don’t yet have any yourself, look at those who follow a competitor offering a similar product or service. Twitter Analytics, for example, can tell you about your audience demographics, lifestyle, and behavior. Market research by a third party can provide a ton of invaluable data on your industry or niche. Ask questions, look for answers (or at least make an educated guess if you’re unable to locate any actual data). OptinMonster has a handy list of 188 questions you could ask about your customers. Once you’ve collected the necessary data points, you can write down your personas on a piece of paper, on a digital document like the Customer Avatar Worksheet, or use an online tool such as Make My Persona or User Persona Creator. Your personas will guide and inform every decision about your funnel from this point forward. Create content – and the funnel itself – with them in mind. Aaron Agius recommends asking three simple questions about your personas: 1) What’s the first thing they think of in the morning?, 2) What’s the last thing they think about at night?, and 3) Why? Okay, this step is admittedly many smaller steps rolled into one. Here, you need to decide on the emails, content, lead magnets, and landing pages you need to create for your funnel. If you’re really ambitious, you can start to differentiate for each persona, because they may not all respond to the same content at each level. Whether you do it now or later, just be sure to do it at some point. What would your customer need from you at each stage to push them through to the next? They may not have heard of you yet, so you need to extend a digital invitation and introduce yourself. With your buyer persona as your guide, reach out to them where they spend time online: a particular social media platform, an industry community, group, or discussion board, or someplace else. Are you going to find them organically, or via paid methods like Facebook Ads or a PPC campaign? Your content should answer the basic questions they’re going to have about you in the beginning: who, what, where, why, and how. Demonstrate your knowledge. Build your authority. Slowly increase your value to them. The format depends on your personas. Would they prefer or need a detailed blog post, a very detailed ebook, or an easy-to-digest infographic, video, or podcast? At this point, it’s all about educating the prospect about their problems and your solution(s), but without selling or asking for anything in return. If you’ve hooked them – even a little – with your free blog posts, videos, and infographics, it’s time to convert them from prospects to leads. And to do that, you need an irresistible lead magnet. They’re aware of you now, but are they interested in what you have to offer? What lead magnet (template, tool, guide, cheat sheet, checklist, newsletter, etc.) would your persona find most useful and valuable? Here, you want to start to solve a problem, need, or want for them. Offer your lead magnet in exchange for their contact details (typically just a name and email address). 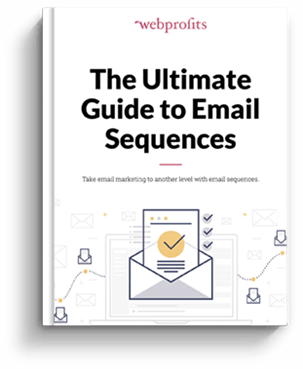 It instantly demonstrates greater interest from them (clicking and reading a blog link is one thing, but providing their email address is a commitment), and builds your email list for further targeting and nurturing. Prospects are nice, but bona fide leads are better. Your content should continue to educate them, answer their most common sales objections, but place a little more emphasis on you and your product(s). Good content to use includes product reviews and how-tos, demo videos, white papers, and more. Done properly, you should also be able to score and qualify your leads at this point. Someone who clicks and sits through your 30-minute product demo video is very interested, while someone who clicks on a review but only spends 5 minutes on the page is less so. Eventually, they’re going to start looking at you and your products as a potential solution to their problem, need, or want. Are you worth it? In the decision stage, you want to make clear your unique value proposition. Why is your solution better than someone else’s? You’ll also want to increase your credibility and build greater trust between you and them. 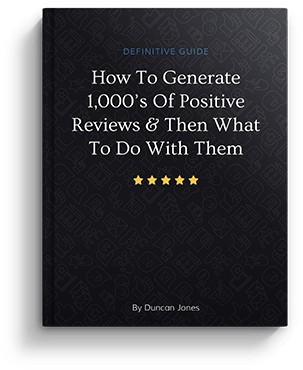 Customer reviews, testimonials, and other forms of social proof are perfect for that. Case studies with real people and real companies succeeding and enjoying your product are an absolute must, too. And free trials or samples allow them to experience it for themselves. Your leads are evaluating you here, so give them the data and details they need to reach only one conclusion: yoursolution is the only solution. Don’t just tell them your product is excellent, show them. Don’t tell them they can trust you, show them. It’s time to move in for the “big ask.” Everything you’ve done to this point has been about educating them, and providing them with the data they need to evaluate you and see your value to them. If you’ve done your job, they’re ready to buy, and they’re seriously leaning towards you and your product. Time to reel them in. Time to compel them to buy. You can use a pricing software to do that as well but that’s a different story. Content in the last stage might not be content at all. Sweeten the deal. You might give them a limited-time discount or coupon, a free consultation or live demo, free shipping with their first order, or BOGO offers. They already know your product is impressive and the solution they’ve been looking for, so make the offer itself impossible to resist. You could also provide further case studies, endorsements, and reviews, as well as suggestions for getting the most out of your product. Money becomes a concern here. Offer estimates on money saved or return-on-investment. Walk them through payment options and plans (monthly, annually, one-time). Provide free or low-cost migration or onboardingservices. Highlight customer service and communication channels. As you can see, the action stage is a lot more hands-on and interactive. The MVF is all about creating and providing the right content to the right person at the right stage. Once you know who you’re going after (your personas) and what you’re going to give them at each stage of your funnel (your blueprint), it’s time to release it on the world. You won’t know whether it has any teeth until it’s activated and prospects start spilling in the top. Build and launch your funnel in conjunction with whatever marketing automation and analytics tools you’re using. It might be as simple as creating a few new pages on your website and creating a goal funnel visualization report on Google Analytics. It’s basic, but it’ll do the trick. CRM providers like Hubspot, Salesforce, Insightly, and Zoho allow you to keep everything organized in one central location: contact details, customer segmentation, sales reports and forecasts, and more. Email marketing solutions like Mailshake, Active Campaign, MailChimp, and ConvertKit make your email outreach and nurturing fast, easy, and automatic. Lead generation tools like LeadQuizzes, LeadFuze, Narrow, and Leadfeeder keep a steady stream of prospects pouring into the top of your funnel. Buffer, Hootsuite, Edgar, and Spokal make scheduling and pushing out content a snap. Need landing pages? Look no further than Instapages, Unbounce, or Leadpages. Funnel builders and platforms like ClickFunnels, 10 Minute Funnels, or Instabuilder provide templates, drag n’ drop functionality, and more. There’s even a free and bare-bones builder that could be perfect for quickly creating your MVF. If you’re in need of an e-commerce platform, Shopify, BigCommerce, OpenCart, and Magento are three of the best. This list is in no way exhaustive. 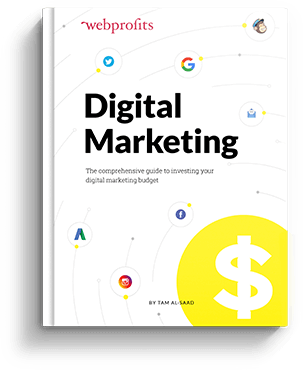 There are tools for every stage of your funnel, tools for content creation (videos, infographics, animation, blog posts, and more), tools for optimization, and more. Search, and ye shall find. You’ve got leads coming in, landing pages launched, emails waiting to be triggered, and content scheduled to go out. But if you’re not measuring their success, it doesn’t amount to a hill of beans. As they say, that which gets measured, gets managed. And improved. The whole point is to determine what’s working and what’s not with your MVF. How many sales materialized via “marketing collateral” (content like ebooks, white papers, and videos)? What channels – organic, social media, paid, referrals – are bringing in the most traffic? How many new prospects are you generating each day, week, month? To find this, you need to identify a concrete “start” to your funnel (a particular page or action). How many convert to a lead, and then a paying customer? What’s your average order value (AOV)? How long does your funnel take top to bottom, and for each individual stage? Sales are ultimately nothing more than a dollar amount. What’s your conversion rate for your big goal, the sale? How much revenue did it generate? What about the other conversions along the way? Where in the funnel are you losing people? There are a lot of metrics you could measure, but in the MVF, you’ll want to be very selective. Pick a few key to your business, and track them. Many of the tools mentioned above have built-in analytics. 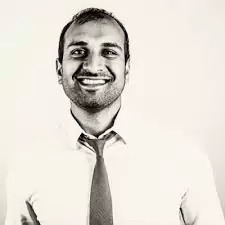 Otherwise, an analytics-specific solution like Google Analytics, Kissmetrics, Adobe Analytics, Piwik, or Funnel.io can collect all the data you need to measure and improve. 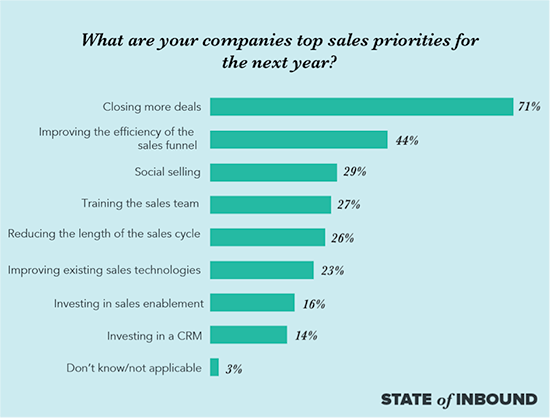 Improving the sales funnel is a top priority for companies, second only to closing more deals. And don’t forget to collect feedback from your leads and customers via email, survey, poll, or otherwise. That data is just as critical as any other type. Make sure you measure so you can manage. To paraphrase Socrates, the unexamined data is not worth collecting. You’ve got to collect and analyze. Crunch the numbers, dig deeper to see what worked, and more importantly, glean wisdom as to why or why not. With analysis, you can determine which lead magnet isn’t resonating with prospects, which emails aren’t getting opened, where there’s a leak in your funnel, or which persona is spending the most. Ask questions, look at the data, and analyze to find the answers. A funnel for e-commerce may be different than a funnel for a B2B seller, but the general steps outlined here apply no matter the situation. The answers you find in the data allow you to tweak and polish your funnel, which is the whole point, right? If lead magnet A is not pulling in prospects, fix or remove it. If customers are abandoning their cart at the shipping page, lower your rates or make it free, or provide additional options. If leads are leaving at the decision stage, you’re not demonstrating your value. Fix it. A sales funnel at its most basic has only 4 stages: awareness, interest, decision, action. That’s it. It’s your job to determine what your ideal customer needs at each point to nudge them through to the next. What content and message do they need at each level? Answer that, and you’ve got a solid MVF to build upon. Then, move from minimum to maximum, and simple to sculpted.